After UPS filed its memorandum of costs in the amount of $38,387.20, Plancich filed a motion to strike and tax costs based on Earley v. Superior Court, 79 Cal. App. 4th 1420 (4th Dist. 2000). Plaintiff argued that in Earley, the appellate court held that, according to Labor Code section 1194, an employer may not recover costs in an employee’s unsuccessful case for overtime compensation. Id. Plancich asserted both that the trial court could not order Plancich to pay UPS’s costs because it was bound by this precedent, and that UPS’s costs were unreasonable. Id. The trial court agreed that allowing costs in this case would eviscerate the “public policy benefits” of section 1194. Id. *2. Also, because all of Plancich’s claims were statutorily based, the trial court determined that any apportionment of costs would defeat the legislative intent and chill workers who have had their statutory rights violated. Id. The trial court granted the motion to strike costs in its entirety. Id. The Fourth District reversed. The Court agreed with UPS’s assertion that it is entitled to costs pursuant to Code of Civil Procedure § 1032(b), the “prevailing party” cost shifting statute, which provides that “Except as otherwise expressly provided by statute, a prevailing party is entitled as a matter of right to recover costs in any action or proceeding.” Id. The court cited the California Supreme Court decision in Murillo v. Fleetwood Enterprises, 17 Cal. 4th 985, 991(1998) for the proposition that if a statute is silent regarding costs for a particular party, then the statute does not contain an “express” costs provision for that particular party. The court reasoned that since Labor Code section 1194 does not provide an express exception to the general rule permitting a prevailing party to recover costs under C.C.P. 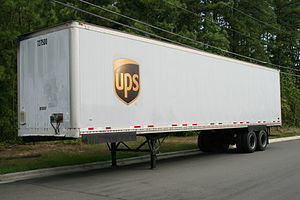 1032, UPS was entitled to recover its costs. Id. *3. Plancich argued that Code of Civil Procedure section 1032 (b) is not applicable to the instant case, and that Labor Code section 218.5 instead governs whether a prevailing party can collect costs in a suit for nonpayment of wages. Id. Without deciding the issue, the court held that UPS should still be awarded its costs under Labor Code section 218.5 as the prevailing party. Id. The Court also rejected Plancich’s argument that allowing a prevailing employer to collect costs will have a chilling effect on employees bringing suits for unpaid overtime compensation. Id. *5. Plancich’s argument about the chilling effect on employee lawsuits cannot be reached by this court, because when the statutory language is unambiguous, as it is in this case, then the plain meaning of the statute governs the outcome. The argument that a possible chilling effect could result from prevailing employers recovering their costs is more properly addressed to the Legislature. Associate Justice Douglas P. Miller wrote the opinion for the Court, with Associate Justices Betty Ann Richli and Jeffrey King concurring. Appeal from an order of Judge Ben T. Kayashima of the Superior Court of San Bernardino County. Paul, Hastings, Janofsky & Walker, Paul Hastings, George W. Abele and Caroline Lee Elkin for Defendant and Appellant. Furutani & Peters and John A. Furutani for Plaintiff and Respondent.